With growing pressure on Britain's rural health care services, what can be done to ensure rural communities are provided for? Proving decent health care to rural areas is proving an uphill battle. Today, a lack of funding, staff, transport and housing are all contributing to a crisis in the rural health network. The issue was acknowledged by the Health Secretary Jeremy Hunt this autumn, when he promised financial bonuses for GPs taking up jobs in rural areas. All this week on Farming Today, we're looking at the issues impacting rural health services, as well as what's being done to address those problems. Sybil Ruscoe gets an overview of the current situation from Chris Cowcher, from the campaign group ACRE - Action for Communities in Rural England. Twenty years after it was set up, the Welsh Sheepdog Society has gone international. For the first time, pure Welsh sheepdogs have been registered in Sweden and in the Czech Republic. Just 20 years ago, the breed was close to extinction with only 60 dogs in Wales considered pure enough to be added to the register. This year more than 2,500 are registered - as Mari Grug reports. 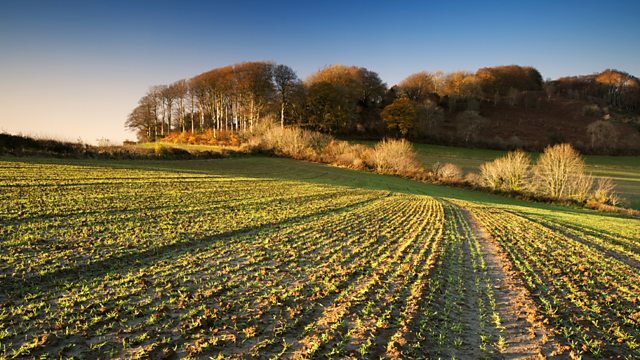 A new forest of 600,000 trees is to be created in England, covering an area equivalent to 650 football pitches. The forest on Doddington North Moor in Northumberland is a private-sector project - and is a welcome contribution to the government's target of planting 12 million new trees by 2020. Nearly half the Doddington trees will be spruce with the rest a mixture of native broadleaf, conifers and Scots pine. It's the biggest planting project in England for a quarter of a century; Sybil speaks to the project manager, Andy Howard.